Velkommen! - Welcome - Willkommen - Bienvnue - Bienvenito! 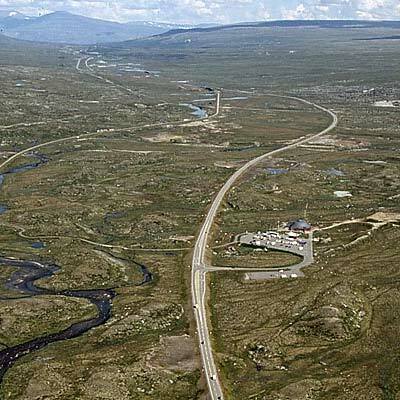 Tne Arctic Circle Centre was officially opened on July 13, 1990, at the same time as the new E6 highway across the Saltfjellet mountains was completed. 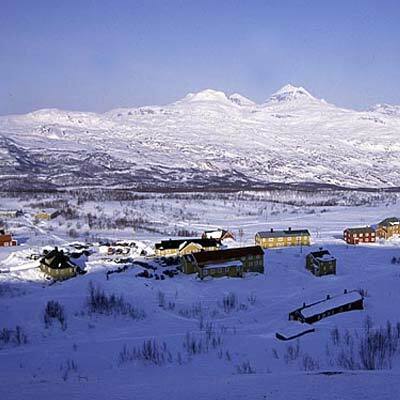 Inside the Centre you will find a cafeteria serving North Norwegian fare, a cinema and exhibition hall with information about the Arctic Circle, and a large and abundant souvenir shop. All of this is spread across a surface area of approximatley 1300m2. The Centre is situated approx. 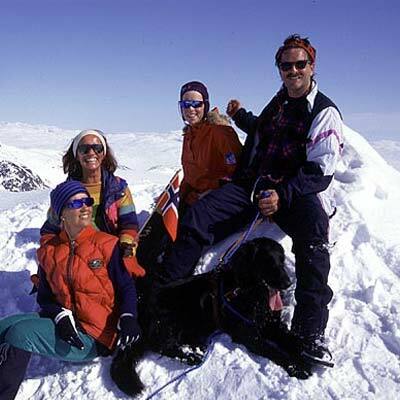 680 metres above sea level on the boundary of the Saltfjellet-Svartisen national park. 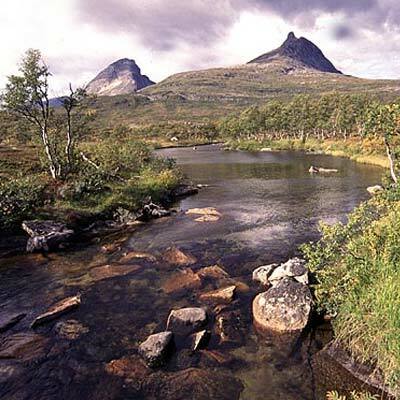 In the Saltfjellet mountains there is an abundant flora and fauna, and a large number of fishing lakes. 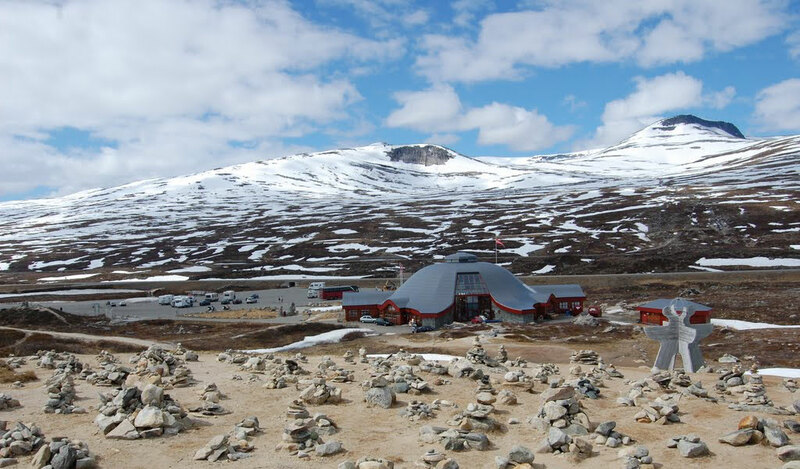 The Arctic Circle Centre is situated on the E6 road in the Saltfjellet mountains in the county of Nordland, and constitutes a natural stop for all travellers along the road. 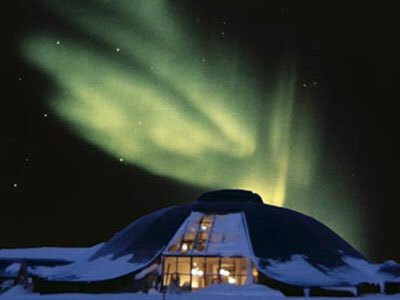 The Arctic Circle Centre is characterised by its unique architecture that has been adapted to the natural surroundings. The Arctic Circle is marked all the way through the building. 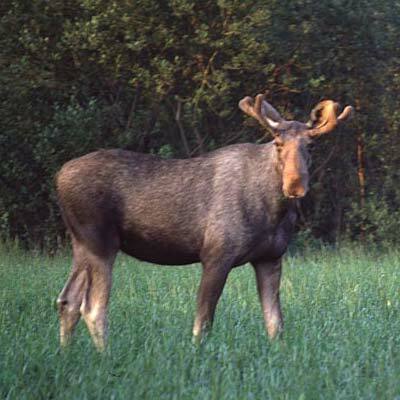 The Centre is open for the season from May 1 to 5 oktober. Lunch and dinner must be booked in advance for groups and special events. 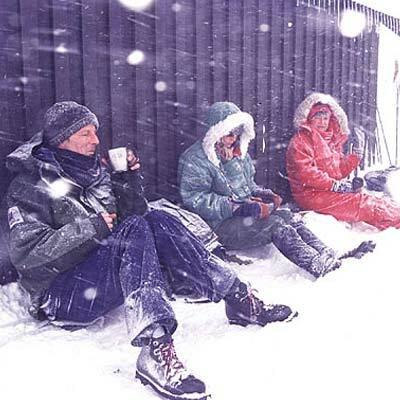 Special post office where all postcards are poststamped with an exclusive Arctic Circle stamp. 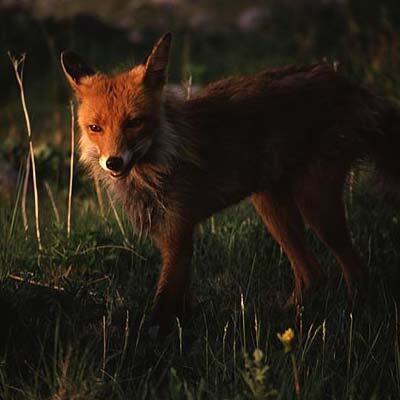 Our splendid cinema screens our new multimedia show entitled “Welcome to the Artic” with fantastic photos and music from the Arctic Circle area. In the area around the Centre, there are Russian and Yugoslavian war memorials from World War II. 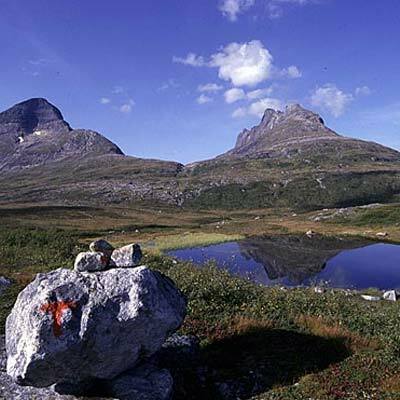 The Arctic Circle Centre is situated in a national park area and is surrounded by magnificent hiking terrain. 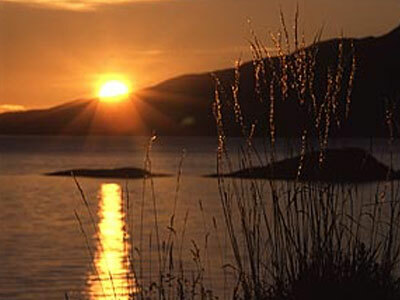 The term midnight sun describes the phenomenon whereby the sun remains above the horizon and is visible 24 hours a day. 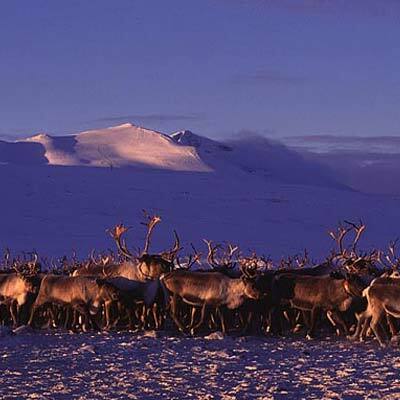 The Arctic Circle is the southernmost border for where you can experience this fantastic phenomenon. 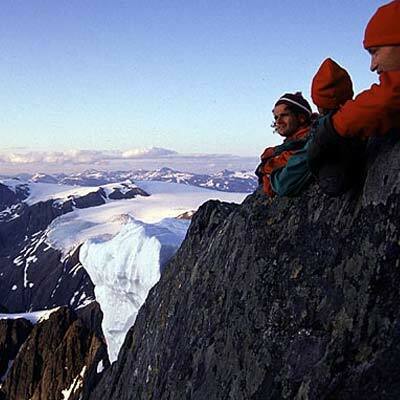 The closer you get to the Pole, the longer you can see the midnight sun. 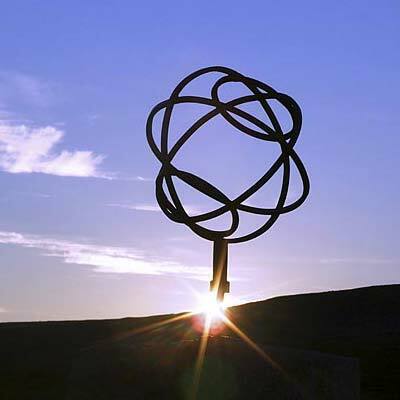 At the Arctic Circle it can be seen for about a month, whereas at the North Pole itself, the sun can be seen continuously for 6 months, weather permitting. 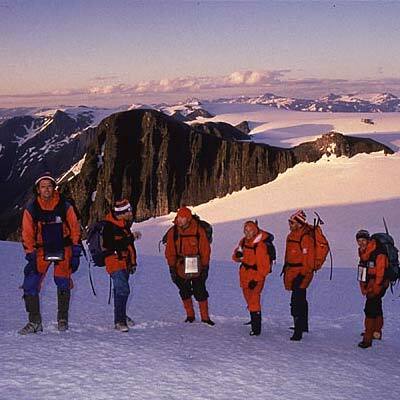 The areas where we find the midnight sun in the summer are also characterised by polar night in the winter, where the period of darkness there is equivalent to the period of daylight during the summer. 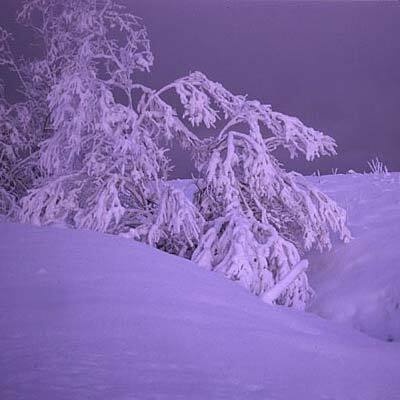 The darkness is not total, however, even though the sun cannot be seen. This is due to refraction in the atmosphere, in the same way that it gets light before the sunrise. Aurora Borealis, or the Northern Lights as it is also known, is a physical phenomenon that occurs when solar winds with electrically charged particles collide with the gases in the Earth’s atmosphere. The Northern Lights occur at altidues between 90 and 150 km above the ground, and emerge as shifting lights in the night sky whose colours vary from almost white to green, blue and red.